This paper analyzes the determinants behind parents’ decision when choosing schools for their children in the Basque Country, Spain. 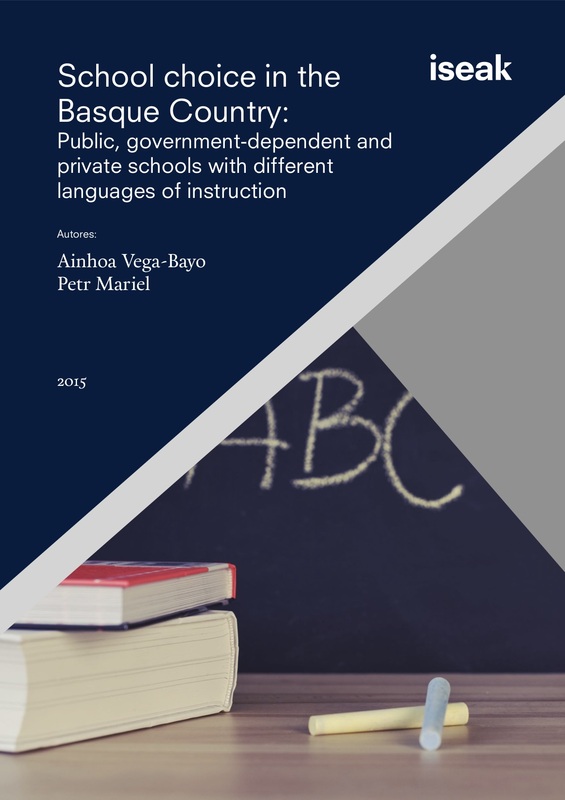 This choice is studied both in terms of private versus public schooling and the main language of instruction, which can be either Basque, Spanish, or both; using data from the PISA 2012 questionnaires. We estimate the probability of a family choosing a certain type of school using a multinomial logit. The main results indicate that the biggest influence on the decision of the school type (public or private) and language model (Basque, Spanish, or Mixed) comes from the wealth level of the family as well as the language spoken at home. The remaining variables which we thought a priori would have an effect on the school choice like mother’s, father’s and student’s birthplace, immigration status, or the parents’ education level, only have the expected effect for families who speak Spanish or another (non-Basque) language at home, whilst the decision by families who speak Basque is not influenced by these variables. The most important finding is that the option of having Basque as the sole language of instruction mitigates the effect on the class stratification.